China had reportedly blocked Facebook Inc’s photo-sharing application Instagram since September 29 as their action brought by increasing mentions of the use of tear gas against the prodemocracy protests groups in Hong Kong. China had been known to use the ‘great firewall’ to block websites they deem to be inappropriate for their countrymen. The control over the internet had been tightening especially now that pro-democracy protests had been going on in Hong Kong. After photos of the use of tear gas had been posted on Instagram. The photos shared on ‘Weibo’, their local Twitter version, had been blocked if it contains keywords such as ‘Occupy Central’ and the ‘Hong Kong students’ which are the groups that are leading the protests. According to BBC, Instagram is fully aware of the blocking and is now looking into the issue. As said by Celia Hatton, Beijing BBC correspondent, China’s government naturally tightens their internet censors over the political issues. 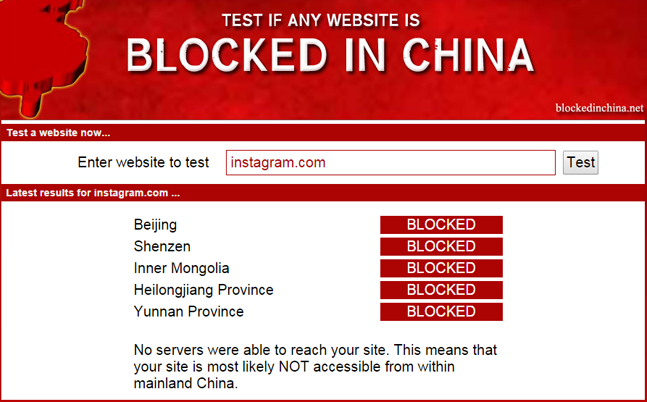 The blocking of Instagrams could also show that it is to try and manage the communications of the protesting groups. It may also show that they are afraid that the protests might spark inspiration for the activists to gather and do some activities in the mainland China. This action lead the the leader of the student activists, Joshua Wong to call out people and download Firechat, this chat app allows instant messaging between two until 10,000 people without the need if internet connection since it is connected through Bluetooth, though it has limits with its smaller scope. The messages sent to those with the same apps are not private and can be seen within the vicinity.